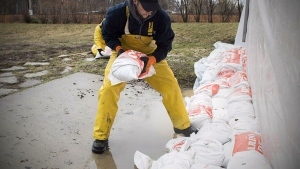 HALIFAX -- Tens of thousand of people across the Maritimes were still without power early today and some schools were closed after the region was hit by powerful gusts and torrential downpours over the weekend. 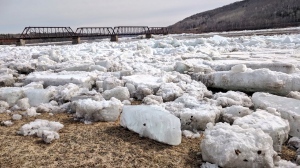 By early today the utility was reporting there were still close to 50,000 customers affected, while the Anglophone West, Anglophone East and Anglophone North School Districts announced a number of school closures. Social media images showed downed trees and branches in both New Brunswick and parts of Prince Edward Island. Nova Scotia was hit with similar strength gusts overnight Saturday and into Sunday along the Fundy coast and over northern sections of Cape Breton. Nova Scotia Power reported that by Monday morning there were a few thousand customers still awaiting reconnection after power outages. All of Prince Edward Island was under a wind warning Saturday and Sunday mornings but most outages were restored by early today. 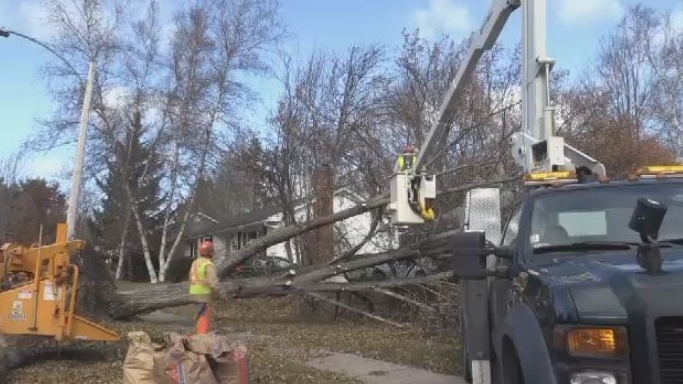 NB Power crews clean up debris after a powerful storm moved through the province on Nov. 3, 2018.